of Yucatán Peninsula on the Carribean Sea in the state of Quintana Roo, Mexico. 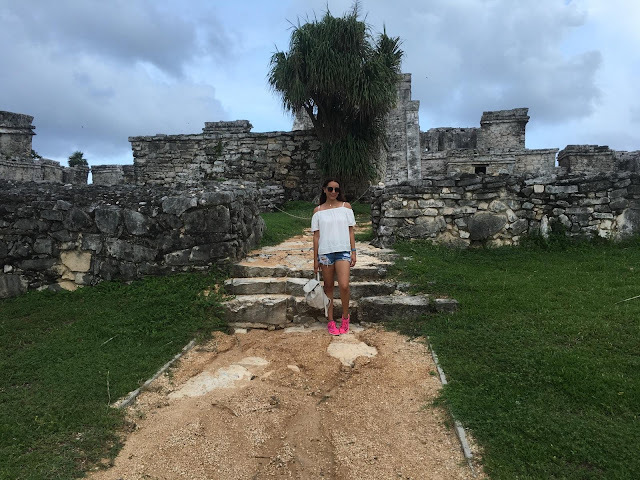 explore it's beautiful ruins and beaches. 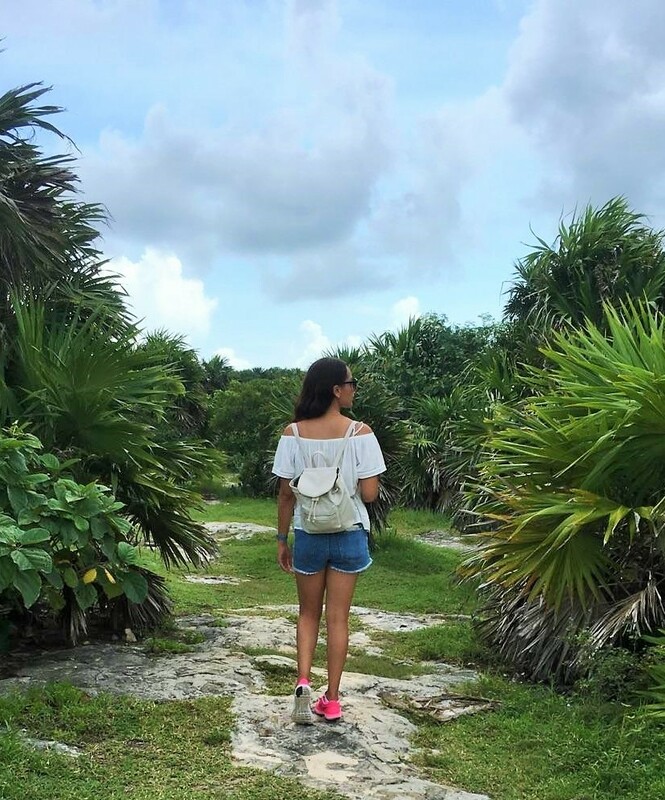 Plus, I promised myself I wasn't going to miss out on visiting the ruins this time around and so the journey began to Tulum. Upon arrival we were greeted by the friendly guides who will explain the passes and access to the beaches. We decided to purchase the pass were you can explore the ruins, enjoy snorkeling and visit the beach. 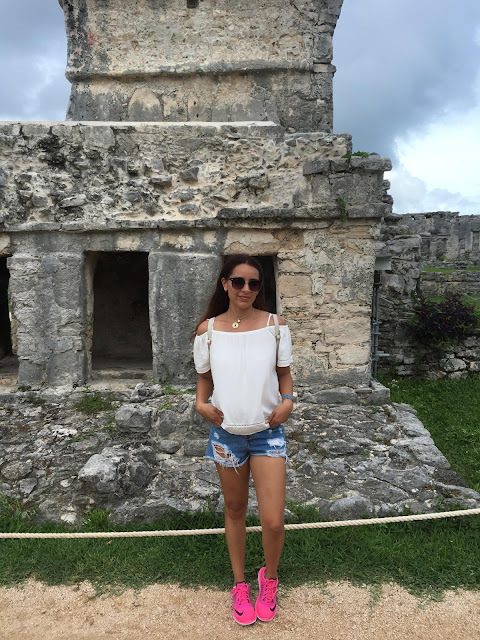 I will do a two part serious, but for now I will share the Tulum ruins experience. 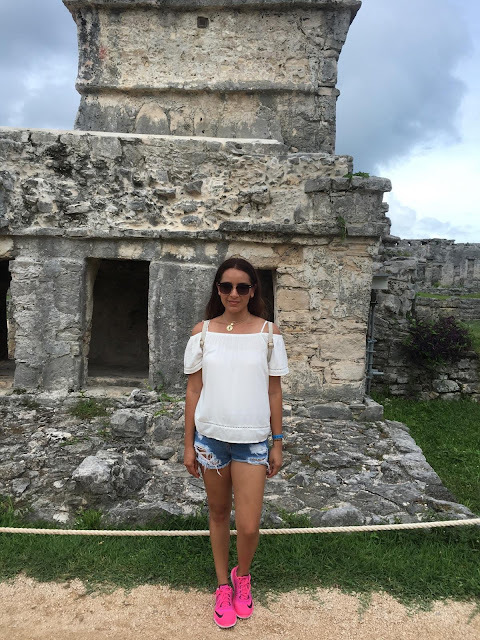 Before you begin your 8 min walk to Tulum's entrance you will get to enjoy a little shopping and I recommend buying a nice cold michelada to enjoy. After entering the historic center, you will then have another short walk ahead of you, but on this path your eyes will "dwell on the beauty of life"~Marcus Aurelius.